We love old mountaineering photos, so we’re pretty excited about the Photographic Balancing Acts exhibit at the Swiss Alpine Museum in Bern. The exhibit runs through September 25th and features 1,200 alpine images shot at the turn of the 20th century by photographer Jules Beck. Beck spent nearly a quarter decade lugging his heavy plate glass cameras up and down the mountainsides of the Swiss Alps. 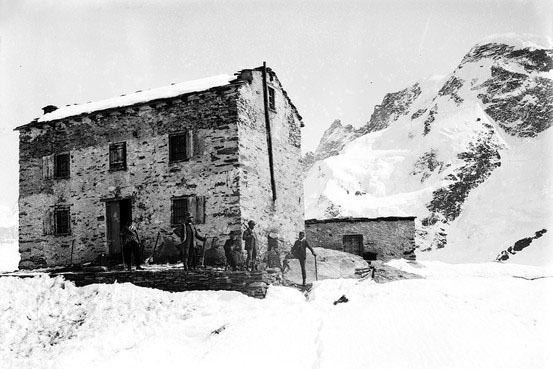 The result: he captured the very first images of Swiss mountaineering. Just reading about some of the photos in this collection makes us drool. The exhibition would be a great pre or post hike treat. Traveling is not just seeing the new; it is also leaving behind. Not just opening doors; also closing them behind you, never to return. But the place you have left forever is always there for you to see whenever you shut your eyes.